This contemporary design features wood handles and matching ferrules in glossy black. Made of natural goat hair it is especially good for mineral blush. 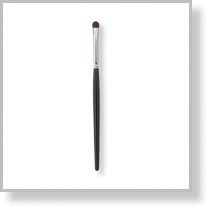 Because the bristles hold just the right amount of product, it delivers a smooth and soft application.